Avery McGregor is personable and radiates positivity. She understands people and listens diligently to every want and need and will work tirelessly to achieve them. Avery is dedicated to developing lasting relationships that flourish beyond the transaction. Born and raised in a real estate-centric family, Avery McGregor has inherited a passion for the industry and knowledge of all sectors of the business. Additionally, Avery is persistent in staying current with local market trends. 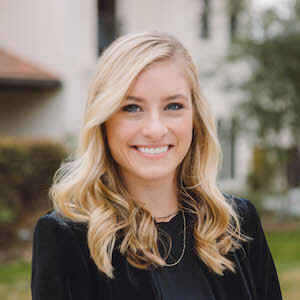 Avery works as a member of The Farris McMahon Group, assisting with a multitude of transactions and offering technological savvy every step of the way. She is proud to be a part of the “East Dallas Experts” enabling her to provide a seamless and enjoyable process. Avery received her B.B.A. with an emphasis on Marketing and Corporate Relations from the University of Mississippi. She is an alumnus of Kappa Kappa Gamma Sorority.